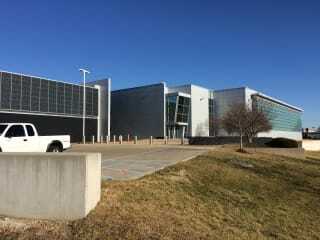 Cyxtera STL1 Hazelwood Data Center is located at 587 James S. McDonnell Boulevard. The data center is 5099 sqft. There is a total of 5099 sqft in raised floor space for colocation. It has access to 8 MW of power. We found 7 data center locations within 50 miles of this facility. Certifications for this location include HIPAA, PCI-DSS, ISO 27001, SOC 1, NIST 800-53, SSAE-18. St. Louis is home to three of the fastest growing companies in the United States, as well as an established, international manufacturing sector. The city is also host to one of the almost 60+ Cyxtera global data centers. Offering more than 5,000 sq/ft of space, the St. Louis data center accelerates business performance through a full complement of colocation-to-cloud solutions. Engineered to meet the expansive IT demands of enterprise customers, this data center is designed to optimize flexibility, connectivity, security, and power. Data reliability in this colocation facility is provided through stringent critical systems infrastructure, rigorous incremental multi-tier security measures and reliable cross connects. Within the St. Louis data center, new and legacy companies can expand and thrive simply and securely.